Seashell button for Under the Sea design. 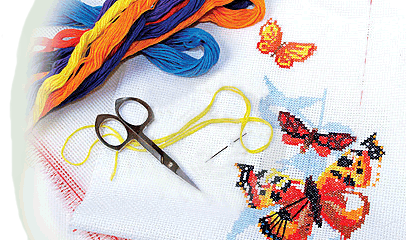 Button pack for Seasonal Welcome design - part of our Heartstrings series. Shamrock button for March Heartstrings design. Shamrock button for Luck design. Shamrock Button for Good Luck design. Shamrock button for Shamrocks (St. Patricks Round) design. Purple flower button for Sheep in the Meadow design. Small yellow moon button for Silhouette Moose design. 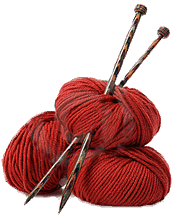 Buttons for Snow Flurries design - Mill Hill red bird and 3 snowflake treasures. Snowflake charm for Snowflakes Gather design. Snowflake charm for Snowflake Sampler design. Snowman nose button for Fireman ornament design. Embellishment pack for Snowman Standup design - one of our Seasonal Standup Series. Snowmen nose buttons & Fizz for Snowman Trio design. Christmas light buttons to go with the SnowMoose Ornament design. Carrot button for Spring Bunny design. Purple flower and 2 small yellow flower buttons for Spring kit design. Star & Pennant buttons for Summer Sailboat design. 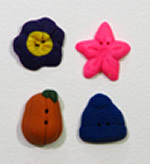 Star and carrot nose buttons for Snowman Ornament design. 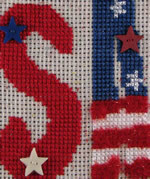 Star button for Uncle Sam ornament design. Star button for Starry santa design. 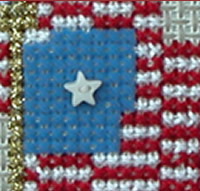 Star button for Patriotic Star design. Star button for July Heartstrings design. Star button for America Cupcake design. Star button for Ghoul Friends design. Star button for All Stacked Up Patriotic Eagle design. Star button for Lighthouse design. Star button for Flags design. Blue and White star buttons for Patriotic Hat design. 3 Star buttons for USA2 design. Star buttons for usa1 design. 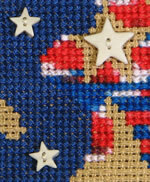 3 star buttons (red,white & blue) for Patriotic Tin design. Starfish button for August Heartstrings design.